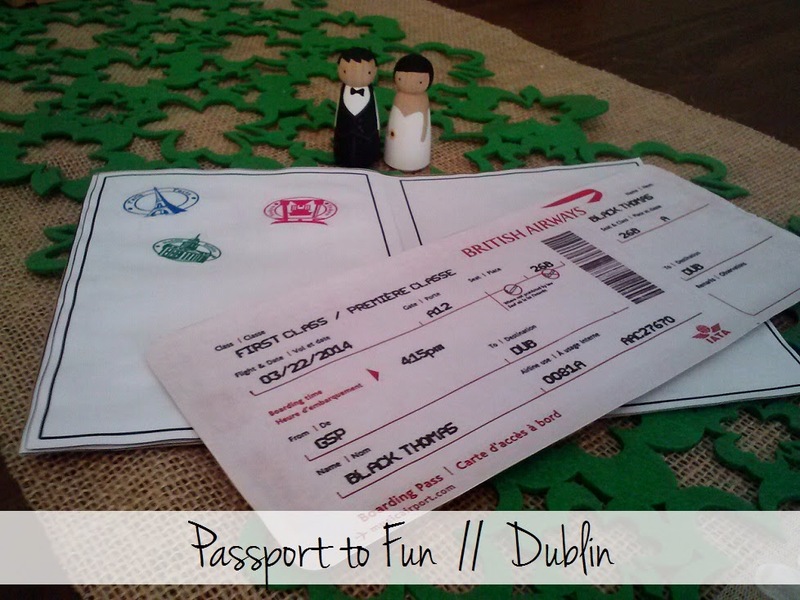 this past Saturday we had our third Passport to Fun adventure! for March, i thought it was fitting to travel to Dublin, Ireland! i tried to pick out food that Thomas loves, and Ireland was so easy! one of his favorite meals is shepherd's pie - in fact, he brought it up a few times about a week before our date which i thought was funny! i've never actually had shepherd's pie, so i just found a recipe and made it my own. we both thought it was delicious, but i'm not sure how authentic it was! it was very easy to make though! i don't think it normally has cheese on it, but Thomas loves cheese so i added some lactose free cheese on top so we could both enjoy! i also made a simple salad so we would at least have something that was healthy! 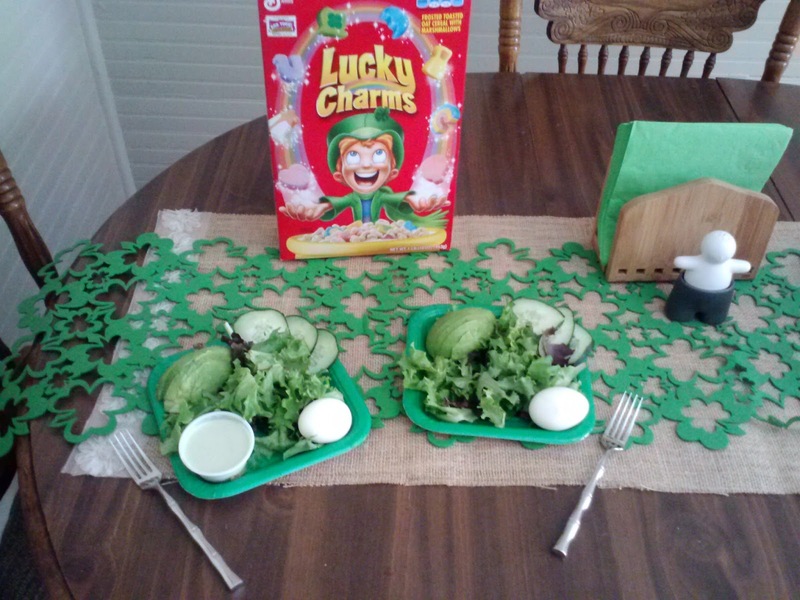 plus, almost everything for the salad was green so that helped with the Irishy feel! i realize everything being green in Ireland is a huge stereotype, but so much green definitely reminds me of Ireland! 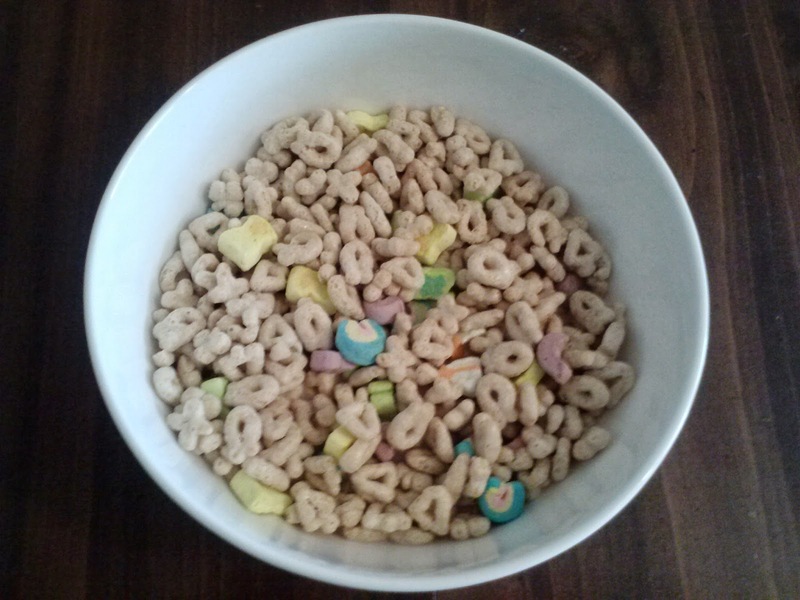 and for dessert, i went with Lucky Charms - another one of his favorites! 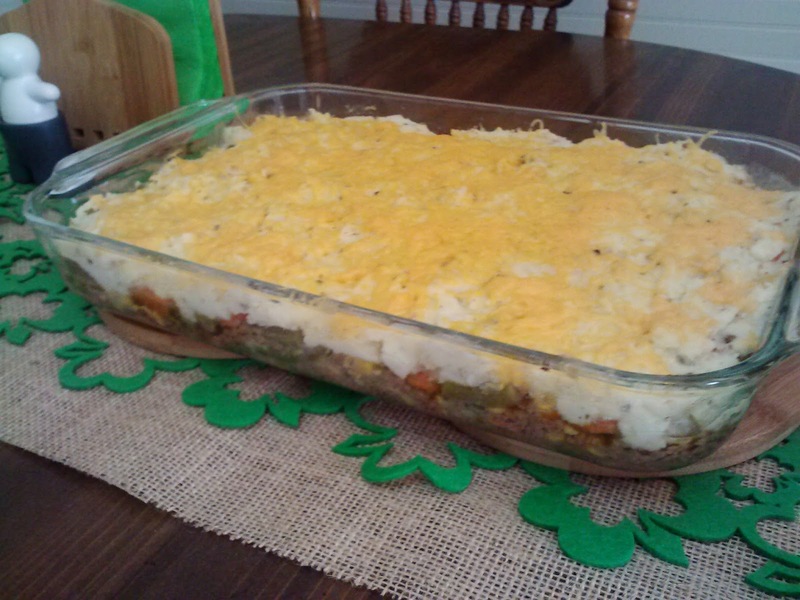 I had no idea Shepard's pie was Irish, we had that for supper yesterday! You are so creative Robyn, I just love it! ahh cool!!! it is my husband's favorite too and i can't believe i have never had it until now! oh good! i'm SO glad you're going to join in on the fun!!! :) please blog about your dates when you do them - i'd love to see what you come up with! !